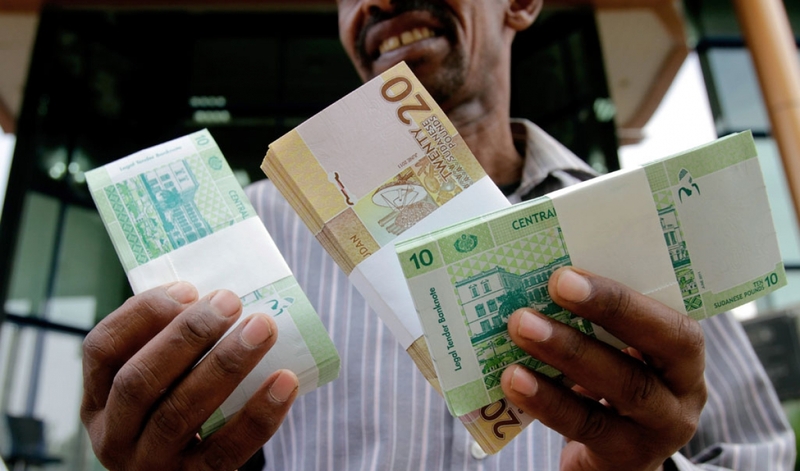 The Economic System in Sudan is Capitalist, Not Islamic! Firstly: The economic law in Islam is to ensure that all the basic needs of each individual are fully satisfied and that he is able to satisfy his needs of luxuries as much as possible. Islam has identified that basic needs are food, clothing and housing for each citizen, and that medical services, education and security are for the whole population. This is not cared for in the Capitalist system that is applied by the regime in Sudan, as it does not care for looking after people’s affairs, but the state’s job is to provide goods and services, and has failed to provide them. The state’s task is to collect taxes, customs and levies, not taking care of people’s affairs. Secondly, Islam dealt with the issue of enabling people to benefit from wealth, and clarified this in three rules (ahkaam): ownership, disposition of property, and distribution of wealth among people. The capitalist system is concerned with the production of wealth and does not care about the equitable distribution of this wealth, which is now applied in Sudan. Therefore, money is a present among the rich alone, while the poor are getting poorer. Allah (swt) says: مَا أَفَاءَ اللَّهُ عَلَى رَسُولِهِ مِنْ أَهْلِ الْقُرَى فَلِلَّهِ وَلِلرَّسُولِ وَلِذِي الْقُرْبَى وَالْيَتَامَى وَالْمَسَاكِينِ وَابْنِ السَّبِيلِ كَيْ لا يَكُونَ دُولَةً بَيْنَ الأَغْنِيَاءِ مِنْكُمْ “That which Allah giveth as spoil unto His messenger from the people of the townships, it is for Allah and His messenger and for the near of kin and the orphans and the needy and the wayfarer, that it become not a commodity between the rich among you.” [Al-Hashr: 7] In the case of public property (oil, minerals, etc. ), the state in Islam is a deputy of the Ummah, but the laws of the Shari’a forbids it from disposing of public property by exchange or association. Rather, it is its task to manage this public property for the benefit of the Ummah, either in the form of public services, or cash for every individual, and the reality applied in Sudan, is that the state acts in public property as state property, and this was clear when oil and gold were extracted, the people did not benefit from them at all. Thirdly: Islam prohibited customs and indirect taxes on goods and services, as they take money of people in vain, as well as interfering with the prices of the Muslims so as to increase it for them, the Messenger of Allah ﷺ said: «لاَ يَدْخُلُ الْجَنَّةَ صَاحِبُ مَكْسٍ» “A tax collector will not enter Paradise”, and he ﷺ said regarding taxes: «مَنْ دَخَلَ فِى شَيْءٍ مِنْ أَسْعَارِ الْمُسْلِمِينَ لِيُغْلِيَهُ عَلَيْهِمْ فَإِنَّ حَقًّا عَلَى اللَّهِ تَبَارَكَ وَتَعَالَى أَنْ يُقْعِدَهُ بِعُظْمٍ مِنَ النَّارِ يَوْمَ الْقِيَامَةِ» “Whosoever was involved in any of the prices of the Muslims, so as to increase it for them it would be due on Allah to place Him in a great fire at the Day of Judgement.” The basic resources for the regime in Sudan are based on customs and indirect taxes on goods and services, and other prohibited levies, in addition to dealing with riba (usury) that is haraam, with no exception, in taking and handling. In general, all economic transactions in Sudan have nothing to do with Islam and its provisions. Rather, they are capitalist rules and regulations, and it is enough that the country’s economic system is guided by the International Monetary Fund and Bank. In conclusion, Islam is an integrated system. It has political, economic, social and other systems, all of which are based on the Islamic ‘Aqeedah (creed). Its provisions are derived from the Book of Allah and the Sunnah of His Messenger ﷺ, which cannot be implemented except under the State of the second Khilafah Rashida on the method of the Prophet, as promised by our beloved ﷺ: «…ثُمَّ تَكُونُ خِلاَفَةٌ عَلَى مِنْهَاجِ النُبُوَّةِ» “…and then it will be a Khilafah Rashida on the method of the Prophet”.